GOSHEN – On Friday, December 14 the Orange County Parenting Coalition, in collaboration with the Trauma Institute of Orange County and the Departments of Mental Health and Social Services held a screening of the film Resilience at the Emergency Services Center that was attended by nearly 120 professionals. The film documents how increased stress in childhood caused through experiences such as parental separation, physical, emotional or sexual abuse, having a parent with mental illness, having a parent who is challenged by substance abuse, the loss of a caregiver, having a family member who is incarcerated, witnessing domestic violence, food insecurity and similar, can physically change the biology of a child. The cause and effect of these so called Adverse Childhood Experiences (ACEs) were revealed by a large scale study in 1999 titled the Kaiser Permanente ACE Study. The study links a significantly increased risk for heart disease, stroke, diabetes and autoimmune disease, obesity, behavioral health, mental health and similar conditions to toxic stress in childhood. 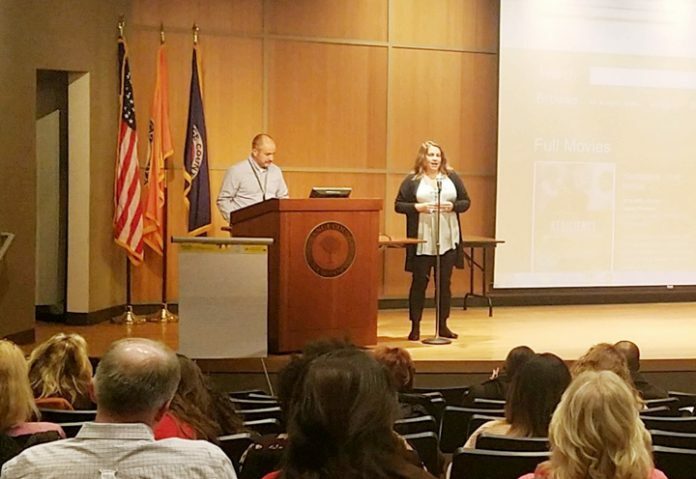 The purpose of the screening of Resilience, was to raise awareness among individuals who work with families and children, as well as to learn about how ACEs can be prevented by increasing resilience in families and in our community. Following the film, participants actively engaged in a discussion about how to incorporate this knowledge into their work, how to employ a trauma-informed approach, and how to create welcoming environments for the families they work with.